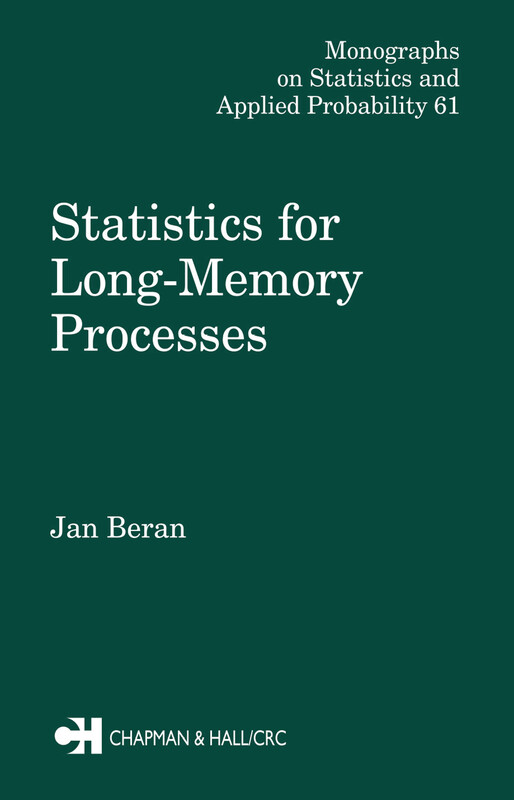 Statistical Methods for Long Term Memory Processes covers the diverse statistical methods and applications for data with long-range dependence. Presenting material that previously appeared only in journals, the author provides a concise and effective overview of probabilistic foundations, statistical methods, and applications. The material emphasizes basic principles and practical applications and provides an integrated perspective of both theory and practice. This book explores data sets from a wide range of disciplines, such as hydrology, climatology, telecommunications engineering, and high-precision physical measurement. The data sets are conveniently compiled in the index, and this allows readers to view statistical approaches in a practical context. Statistical Methods for Long Term Memory Processes also supplies S-PLUS programs for the major methods discussed. This feature allows the practitioner to apply long memory processes in daily data analysis. For newcomers to the area, the first three chapters provide the basic knowledge necessary for understanding the remainder of the material. To promote selective reading, the author presents the chapters independently. Combining essential methodologies with real-life applications, this outstanding volume is and indispensable reference for statisticians and scientists who analyze data with long-range dependence.